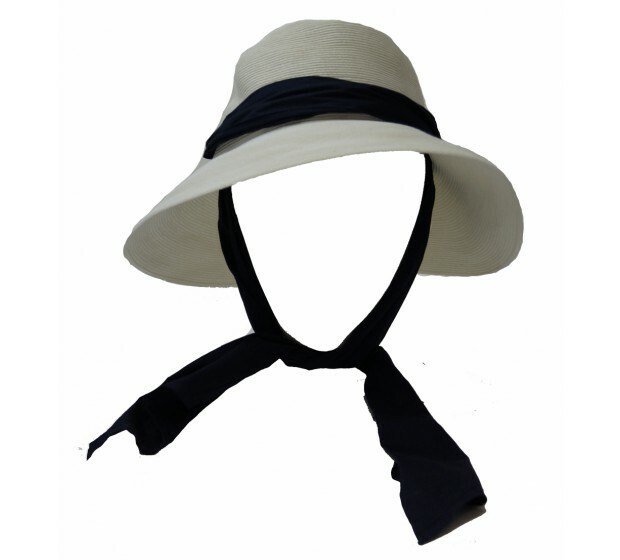 Wide brim fedora hat style, trimmed with a removable black cotton scarf, gives full sun protection. Manly is made of natural super braid straw, fitted with a one-size-fits-all system to adjust the hat size. You can easily play and change the position of the brim in order to adjust the look according to mood and function. Manly is crushable and packable. Hat brim is approx. 9cm wide in the front. 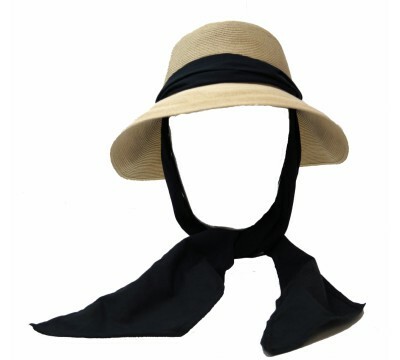 The scarf offers a stylish and secure solution to keep the hat on while you cruise in your convertible car or on your boat. Obviously, you can use your own narrow scarfs as well around Manly. Bronté hat style Manly comes with a lost&found label, to personalize your hat with your name and mobile number. Do not wear in the rain, as this design is made of natural straw. Manly is also available in natural and in black. 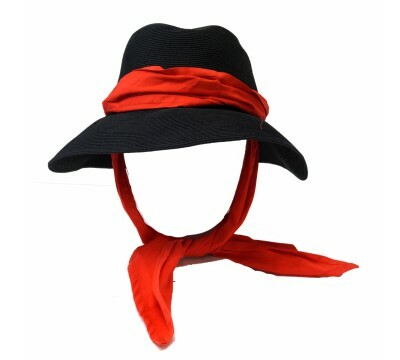 Manly with scarf - natural/black Wide brim fedora hat style, trimmed with a removable black..
Manly with scarf - black/red Wide brim fedora hat style, trimmed with a removable black cotton sc..